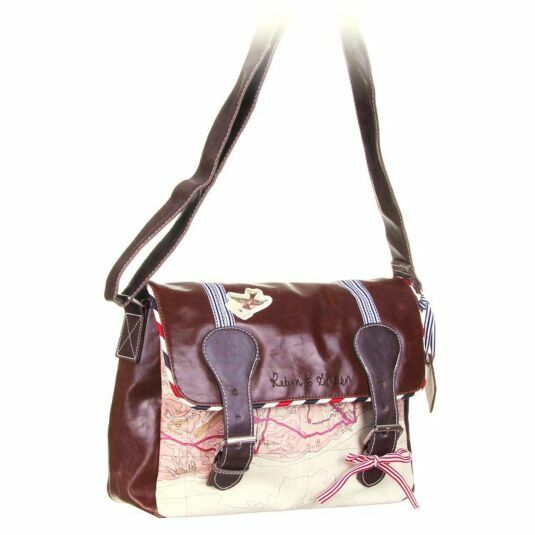 Satchels have always been popular, and Disaster Designs have put an inspired twist on this traditional bag with a travel themed design. 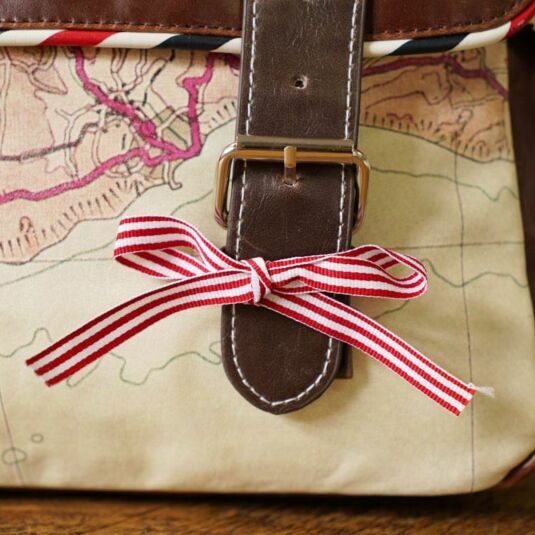 The front of the satchel is printed with part of an Ordnance Survey map in cream, red, pink and olive green. 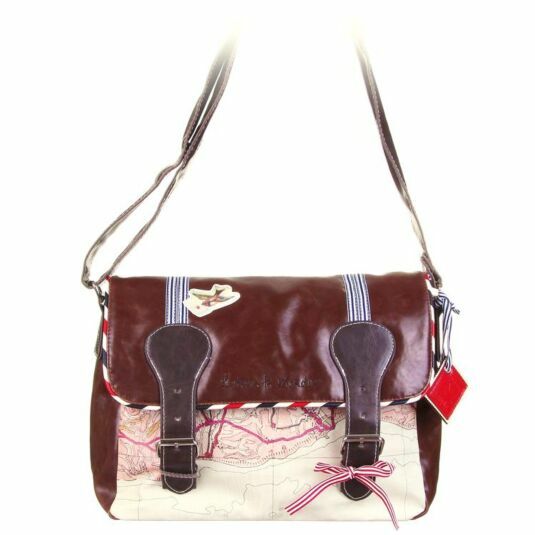 It is made of chestnut brown faux leather, with piping in cream, blue and red, emulating airmail stationery. 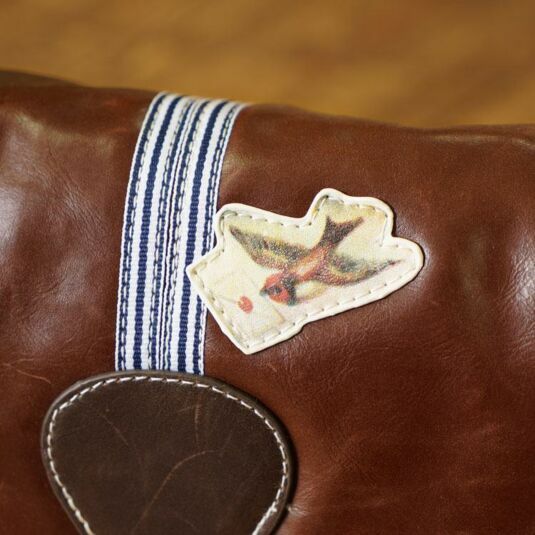 The front flap fastens securely with two buckles, and is embellished with blue and white webbed strips and an appliquéd print of a swallow carrying an envelope in its beak. 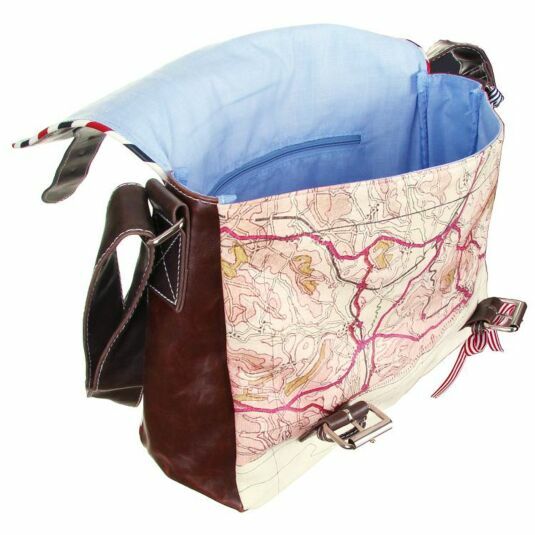 Inside the satchel is lined with cotton fabric in exactly the shade of blue used for airmail paper. 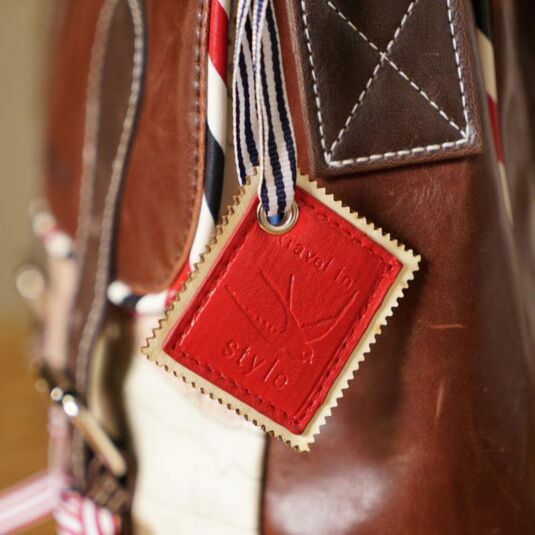 Attention to detail on this useful bag is exquisite, the words ‘Return to Sender’ are embroidered on the flap, a red and white ribbon is attached to one of the buckles and a red faux leather tag is embossed with a swallow and the words: travel in style. The satchel itself is about the right size to hold a 13" laptop, or a couple of books and files, so could be used for school or college. Internally there is a zip pocket for cash, lipstick and other private essentials, and a handy phone pocket. 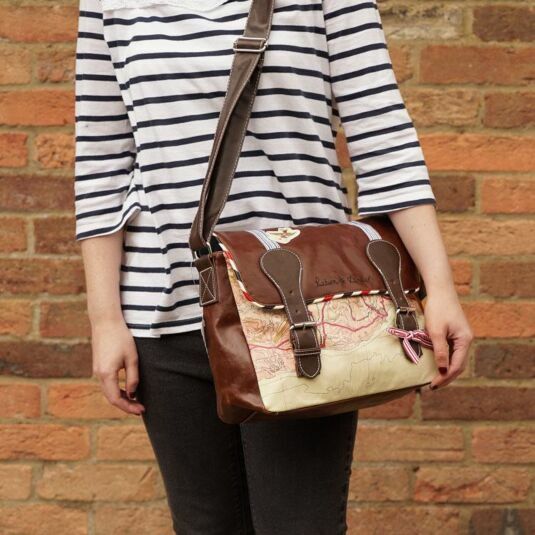 The adjustable shoulder strap can be lengthened for across the body wear. 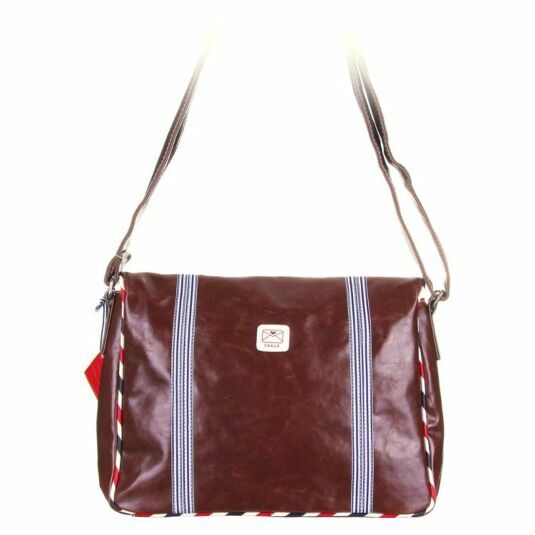 This bag would be appreciated by travellers as a holiday shoulder bag and students for college or could be used as a handbag by teachers or mothers and those who like interesting designs.